A gentleman approached our guild asking if anyone would be willing to spin Bear fur for him to have a sweater made! Well, I was curious so asked some questions which led to more discussion which led to me saying, “OK, I’ll give it a go”. I don’t think any one else in our guild was even remotely interested and this should have been a clue for me to pick up on! I informed him it should be blended with another short fibre and I chose Shetland after consulting some other experienced guilders. So including the cost of the additional fibre, the cost of my shearing, and the weight of the fibre at the end it could come out to an expensive sweater indeed. I also stated that it would likely be itchy, hot, and heavy! He was undeterred and said, “please, go ahead”! There were two pelts – both of which he had shot legally, I checked that too. 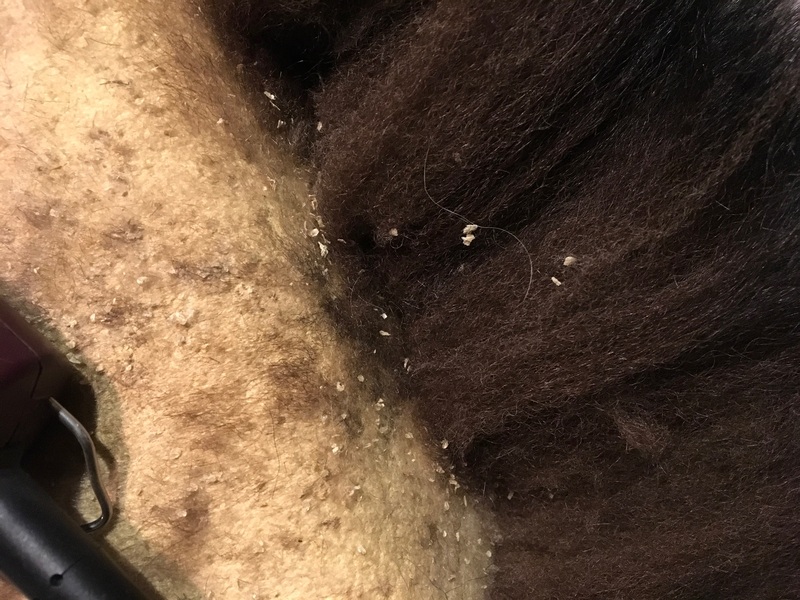 I chose the longer haired one and when I started shearing this is what I encountered: The hide was so dry that flakes of skin were coming off in the fibre. I then sent another email to the gentleman showing photos of the issue and saying that it would now cost the length of time it took me to ‘clean’ the fibre. Still undeterred, he said again, “please continue”. After hours of hand carding the flakes out I blended some Shetland and Bear and began to spin. Well, I certainly learned a lot! 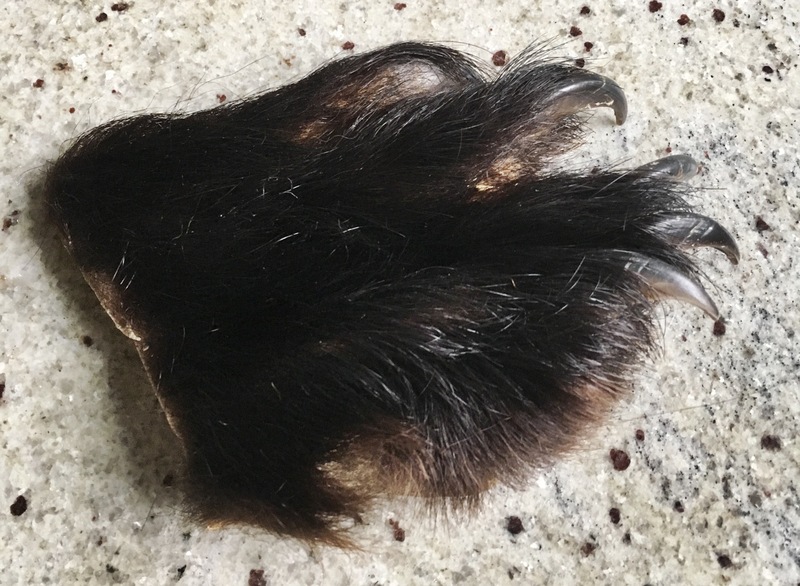 First, Bear hair is poker straight and would prefer to remain that way. It doesn’t want to cooperate in any way. It is also very smooth so did not want to follow a draft. ‘It’s a bear to spin’ if you’ll pardon the pun. 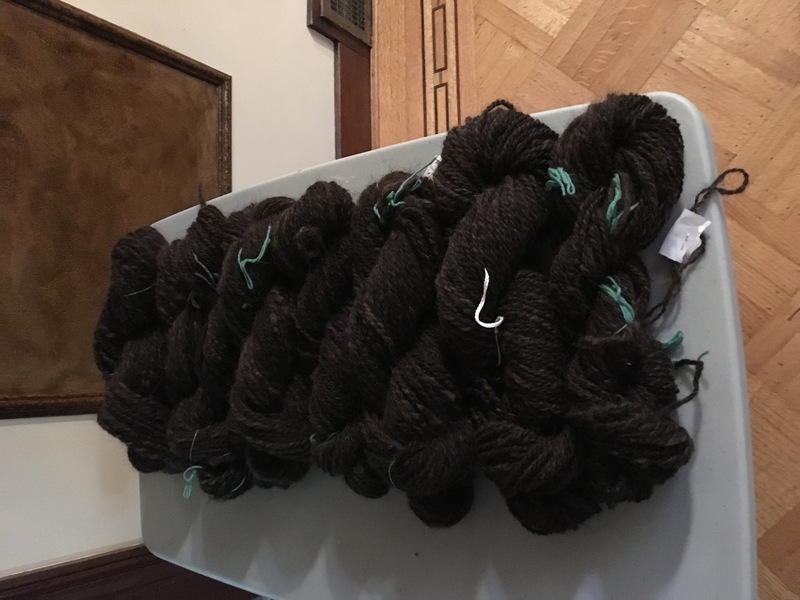 If you held the roving too firmly, only the Shetland drafted and you would end up with a handful of Bear. 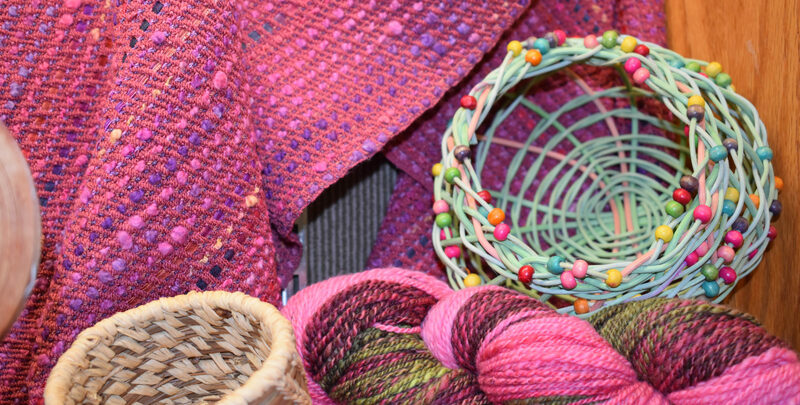 If you held it too loosely, the yarn was too low of a tpi and wouldn’t hold together – especially when trying to ply it. I never thought I’d be coaxing a Bear to do anything but coax I did. I was not happy with the thought of spending hours at this task and so I problem solved by inviting my friend (also curious) and a beautiful spinner to join in on the ‘experience’! She enjoyed the challenge and spun most of the final product. She’s an engineer, what else can I say. I did end up being an expensive yarn but he seemed very please with the end result. He even gave me a paw so I can make some buttons. So if you see a man in an unbearably beautiful but heavy sweater – you know it’s the one!